Many of us get those graduation announcements from relatives with which you have no real relationship. Or, you simply don’t know their kid. But, you’re not the person to simply toss it in the trash. Nor really not into spending a lot of money on a kid you have zero connection with. So, acknowledge the grad’s mastery/accomplishment with the perfect solution. Gift something petite, but useful –– without breaking the bank. Sure, you could slip them a $20, but that’s so transient and unmemorable. Following are mostly unisex gifts that most grads would find useful. If not, no worries: you don’t really know them; and they can certainly trade the gift or regift it. 16 different scents.Try scents like Sweet Tobacco for guys. Burns for up to 45 hours, filling the grad’s room with natural, soothing aroma. Buy 2 and save! Your gift recipient grad never leaves the house without hand sanitizer? Gift several of these 5-pack Stress Relief – Eucalyptus & Spearmint Sanitizers for killing stress and germs. For the grad’s travels, whether back home or elsewhere, he/she might appreciate this LANEIGE Hydrating Trial Kit. Yes, likely him too. Purportedly good for all skin types. 5-piece set, including a water sleeping mask. … the grad is likely to eat some vegetables in current health conscious world. Make it easier and less messy for them with the Open Kitchen Vegetable Set. Includes tomato corer, avocado masher, corn stripper and vegetable/fruit knife. Tools they could use even in the dorm. This Fig & Elderberry Blaak Drizzle might entice the new graduate to learn to cook. Or, least add some sophistication to the snacks they serve at the home happy hour. An interesting blend of balsamic vinegar and fruits. If you’re feeling more generous you could combine the original above with a roasted garlic or black currant drizzle. $27 for the duo combos. Whether it’s water, juice, fruit or herbs, the entertaining grad could appreciate these versatile Healthy Lifestyle Ice Balls. Includes four 2” diameter balls that prevents fast ice melt downs. Filled ice balls would make amazing floats in a punch bowl or individual glasses. A similar one, Easy Release Ball Ice Cube Maker tray, also makes four 2” ice balls. Made of BPA-free food-grad silicone at Home Depot. Whether graduating high school, college, law school, etc, they will have plenty of books. Book ends could certainly come in handy. 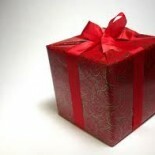 Unlikely you can gift wrong with something artistic, whimsical or practical. The Experience Passport gives the grad 45 ways to explore and ‘have more life enriching experiences’: have a conversation with someone who speaks a different language, on their everyday journey take different routes for a week. Grads will note each experience in the passport. Even includes a “stamp” to commemorate each new, brain expanding experience. Grads take a coin out of the Take What You Need Wooden Box and Inspirational Coins every time they need encouragement or guidance for their day. May you find the perfect gift or at least get some perfect ideas for your graduate. Please do check out more of our Frugalista Gift posts for gift inspiration or that just right presentation.We also love to hear your comments and suggestions; and especially love when you share posts you find helpful! This entry was posted on May 26, 2018 by frugalistagiftguide in A, B. C, Accessories, Beauty, Bundling, Cook, Eco, Entertaining, Food, men's, Occasions, Uncategorized, women's and tagged books, cook, entertain, foodie, Frugalista Gift, graduation, graduation gift, inspiration.